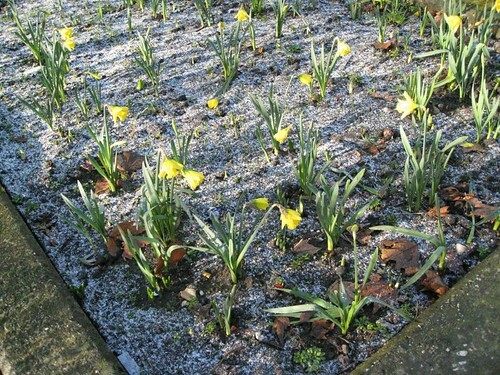 Snow and daffodils, originally uploaded by LaneH. Photographer LaneH tell us about this February 8, 2009 photo: I snapped the photo in Amsterdam last weekend. I don’t know anything about the flowers themselves, they were growing outside a public building. in our garden / in onze tuin, originally uploaded by friedkampes. 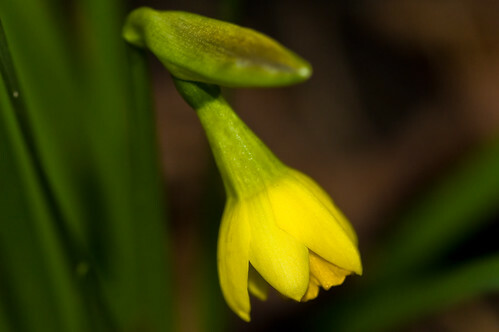 The photographer, Fried Kampes, comments on this lovely and unusual photo: A christmas narcissus? Or is it just a scout for next spring? // ‘n Kerstnarcis? of is het gewoon een verkenner voor de komende lente? We wrote to Fried to ask if it this was a common sight at Christmas time, and Fried replies: I know it IS here , in the Netherlands, very uncommon for daffodils to bloom in this time of the year. That’s why I was so surprised to see it this morning. Is it too early to start talking about spring coming, especially since we haven’t officially started winter? This photo was taken by missgien, from her balcony in Nijmegen, The Netherlands.